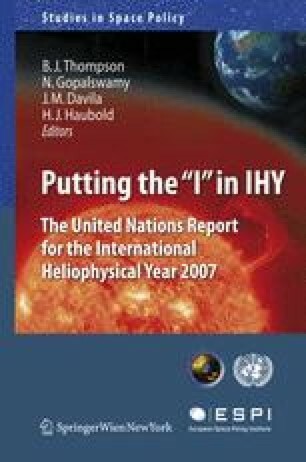 With the phenomenal improvement of ground- and space-based observations since the International Geophysical Year in 1957, the opportunity to observe heliophysical processes has never been better. Today, ground-based observatories routinely observe most domains of heliophysics, often using local measurements to form a global picture. Observatories in space now provide data from locations and regimes that have only recently become accessible, with drastically improved resolution and range, and large-scale computer modelling has made it possible to assimilate and couple these diverse observational inputs, enabling cross-disciplinary studies which transcend traditional boundaries in space physics.